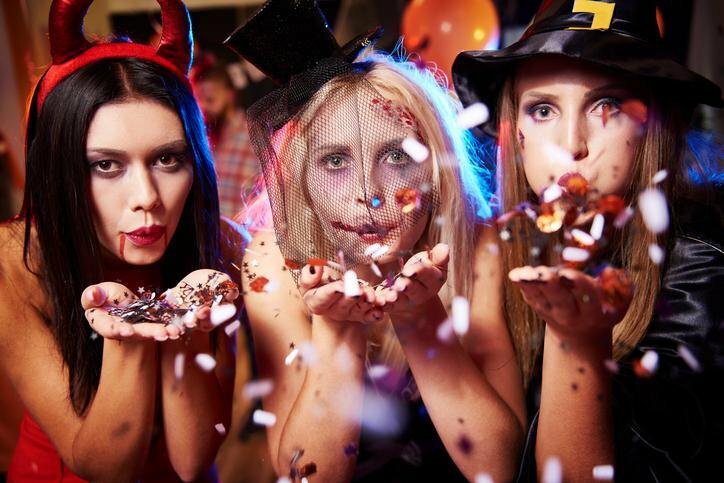 Whether you’re hitting up a bumpin’ costume party, chilling out at the local bar or club with your pals, or terrorizing trick or treaters as they roam your neighborhood, Halloween gives you a chance to play someone else for the night. Be a freak, be a monster. Show off a little skin or let your twisted sense of humor come out to play. Costumes are a great conversation starter, making it easy to meet new people. You’ll find it can be extremely liberating to play someone else for the night. You may even discover something about yourself. Most adults don’t get a chance to be super creative at work. If you’re crafty, have an eye for decorating, or just have a wacky idea that might make a totally unique and freaky costume, Halloween is your chance to let your creative side shine. 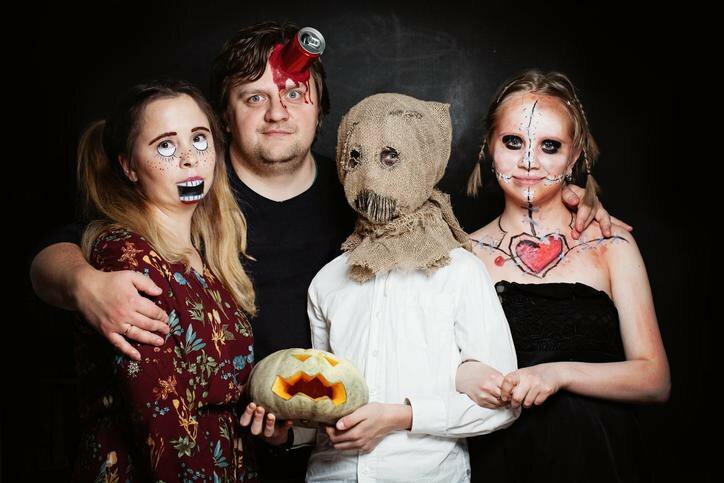 Put that mind to good use and craft a witty look that will go viral on social media and be a hit at the masquerade ball, or carve a detailed Jack O’Lantern that will be the talk of the town. Look, candy is delicious. From silky smooth chocolate, to crunchy, crispy candies, to the classic and somewhat nutritious candy apple and the lowly candy corn, there’s something for every adult’s sweet tooth. You know what they say: everything in moderation, including moderation. Halloween is your chance to go to town on a bag of fun size candy bars or whip up a batch of cookies that feature bats, pumpkins, skeletons, and other frightening frosting characters. You’ve been good for the rest of the year, reward yourself with some Halloween sweets. The modern world is full of stress and every now and then, you need to relax and do something downright silly. Forget about your worries for just one night and enjoy a nationwide party with your fellow revelers. 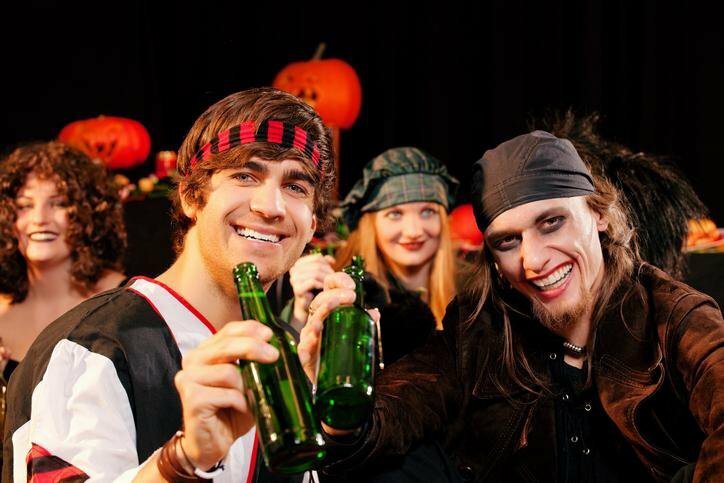 Singles will have a great chance to mingle with each other, and couples Halloween costumes offer a chance to socialize as a team. Sip some spiked punch, hit the dance floor and make new friends, or greet the neighborhood kids with a bone-chilling look that will give them nightmares for months. Make the most of this unique holiday, because once the sun rises, it’s back to business as usual. Trying to find the perfect look for October 31? Check out this large collection of cinema-quality Halloween costumes from The Horror Dome.